ULI JON ROTH - SKY OF AVALON - PROLOGUE TO THE SYMPHONIC LEGENDS (CD) | Online Shop | Wizard LTD. 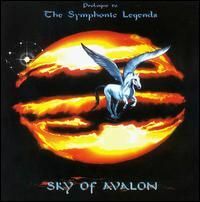 Album: "SKY OF AVALON - PROLOGUE TO THE SYMPHONIC LEGENDS (CD)"
Sky of Avalon – Prologue to the Symphonic Legends , a music project by Uli Jon Roth, was produced at Sky Studios, Earl's Farm - Autumn 1995. "Starlight" and "Winds of War" - 1992 produced at Sky Studios, Seaford. Released in 1996 in Japan and Europe, finally reaching the U.S. in 1998.